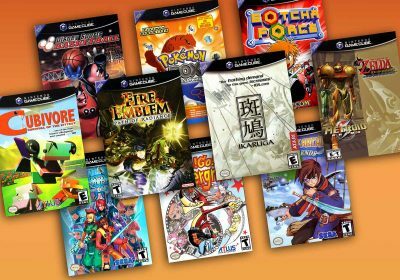 Zelda Four Swords Adventure for the Gamecube is a killer party game, but who wants to play on a GBA? We fix this issue with a killer multi-Gamecube, multi-TV setup. It is a fickle slope when traditionally single player series add multiplayer elements. Sometimes it works, but more often than not it feels tacked on, rushed, or are just simply bad. However in 2002, Nintendo added a little something to their GBA port of their famous Link to the Past title, a high-quality side game called Four Swords. Four Swords provided a random multiplayer world for those who knew one to three other people who owned copies of the game. This was a fantastic sidequest for the series but had a few problems such as the length of the game and the technical limitations of the GBA. 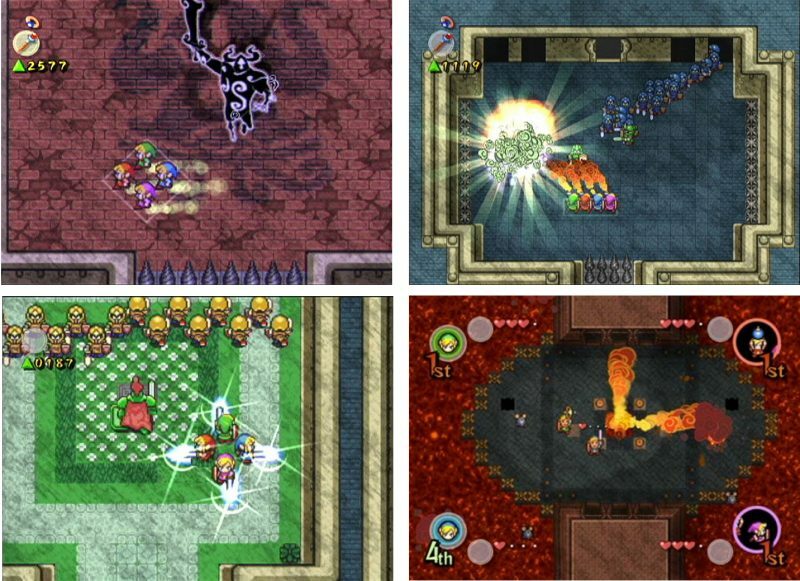 No matter the problems, the Zelda series had finally worked in multiplayer, and it was awesome. Flash-forward two years. Nintendo releases Four Swords Adventure for the Gamecube. This game expands the gameplay of the original and adds some rather nice features. Still using the Link to the Past inspired character and world sprites, it adds in Windwaker styled explosions, a orchestrated soundtrack inspired by Link to the Past, and a deathmatch-styled game mode. It seems like it has everything going for it, brilliant 2D gameplay, beautiful visuals, a fantastic soundtrack, but it has one dastardly hardware requirement that keeps it from being in everyone’s collection, which we will talk about later. What Makes Four Swords Adventure Worthwhile? In Four Swords Adventure, you still have your standard adventure, known as “The Hyrulean Adventure” , which involves eight areas; each of which has three stages and a boss fight. For those who have played a Zelda game but not a Four Swords; you work your way through the stages in typical Zelda style but with one twist. Force Gems appear on the stage and without a certain amount you cannot complete it. Whoever has the most of these crystals at the end gets a bonus on who wins the round. By “wins the round” at the end of the stage you are rated on several facets of gameplay. So it does come down to a nasty game of co-op/counter-op as the game progresses. You also need the all of the players going one direction to change the map on the tv, so if one person is a completionist or just has to cut down every bush, then it can take awhile. This is both alleviated and compounded by the fact you can lift up other players. This most noted in three player mode when one of the Links is essentially dead space until he is put to work. The downside is that if you piss of another player they can pick you up and throw you into pits or take you places against your will. I like to view it as a needed accessory to the game, but that’s just mean spirit in me wanting to throw that prick of a blue player into a pit after he lit me on fire for the fourth time. However my aggressions are better suited for the other multiplayer mode, “Shadow Battle”. Shadow Battle is simply deathmatch in Zelda. There are ten stages, random weapons and powerups. It is important that this mode is available because more often that not after a few stages in the adventure mode, it ends up being a fight anyway, why not add more weapons and flair? The stages are the standard set you would imagine from a multiplayer Zelda game: a Beachside Cottage, Wind Temple, Fire Temple, Hyrule Castle, etc, but they are all balanced and will provide you with hours of intense battles. Like a Bomberman title, the game is easy to learn (even none gamers should pick it up in a couple of minutes), has a fair amount of depth, and is fun. 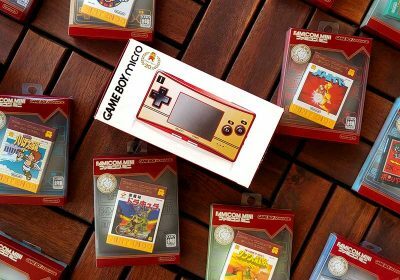 Why does everyone need a GBA? Well the game is played on both the TV and the GBA screen. For example, when you enter a cave or building on the tv, you showup on the GBA. This makes for intense fights and puzzles that span both screens. Essentualy, Four Swords Adventure could not have been done any other way while maintinaing its unique gameplay and appeal. While playing Four Swords Adventure with the GBA setup may be more affordable, it is definately not the most enjoyable experience for a number of reasons. All participants will get neck aches from moving their head up and down, alternating from the main TV display to their own GBA. When your teammates get stuck inside a dungeon or building, you can’t easily see their situation and help. 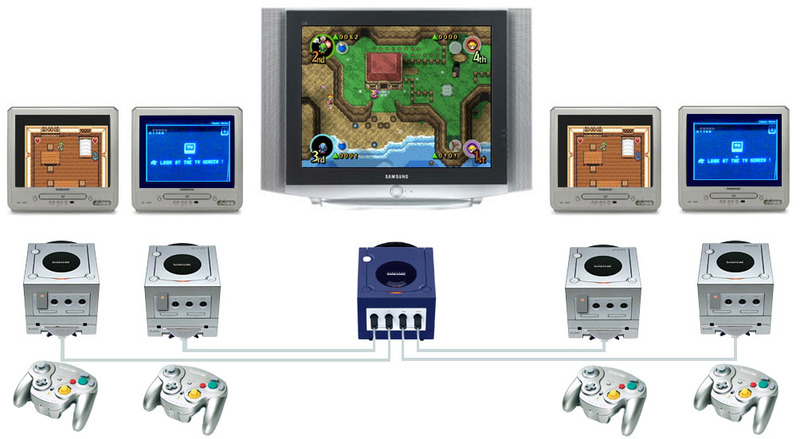 To get around the limitations of the GBA-based setup, we used Gamecubes with GBA players linked to a central Gamecube and hooked up to their own TV displays. This is the same method employed in the Pacman Vs setup from last years Momocon, I needed to scrounge up three more Gameboy Players and Gamecubes to take it to the next level. So that comes out a little over $350 before TVs (assuming you don’t have any of the stuff already). BUT if you break it up over time, hunting for deals or re-using older equipment you already have, you can get it all for a lot less. Heck I got a Gameboy Player for $5, and another for $15 on Craigslist. You only need one disc for the Gameboy players, once they are the loaded you can take the disc out and put it in the next one. Also I have been told that you can use the Japanese hardware on the US system. The basic principle behind this is that with a TV people cannot complain that they cannot see what is going on on the screen. (They also have a bigger and clearer screen for reading the menus in Final Fantasy Crystal Chronicles, in case you want to play that as well). This makes the games a lot easier to explain, but it also takes up a lot of room. And I just used the cables I already owned. Photo Gallery | Zelda Four Swords 5 + 5 VideoSadly, I had to take it down Saturday night and transport it home (I only have so much space in the car), and on Sunday there were droves of people who were asking about it and wanting to play it and how to build their own. In the end, it took a lot of planning, friends, and a bit of luck to pull this one off, but it made a good impact on the con. Now that it has been done at our con, and documented, I think I may travel to some of the other smaller cons in my neck of the woods, to spread that strange mix of joy and frustration that this game always brings so more people can light their friends on fire with the firewand. While it never had the potential to be the must-have Gamecube game, or the game that you buy the console for, The Legend of Zelda: Four Swords Adventure did provide an experience that no other console has duplicated. There are two other games that use a similar setup, readers of the site may know Pacman VS quite well, and Final Fantasy Crystal Chronicles. If you do end up getting enough Gameboys for Four Swords, do yourself a favor and try to get the other two. All three are fantastic games and it really is a shame that they do not get the recognition that they deserve. Too awesome, wish I had been at the convention! Having participated in this, I will say…it was nothing short of absolutely SWEET. Seriously, if you’ve got the money, the space, and the friends, set this thing up. It was some of the most fun I had at the entire con. Just make sure you actually work together, as griefing can really kill the game. When I bought Four Swords Adventure, I wondered if this would be possible, but the game wasn’t nearly fun or satisfying enough to make me seriously consider it. I’m glad to see someone pulled it off, if only to verify. garsh, did you play it with four people? BTW, andymol21, even if it’s a bit out of your financial reach now, the stuff will only get cheaper later, so you may want to keep it in mind later. Old CRT TVs are going to start showing up in droves in garage sales and Craigslist as people transition to HDTV and such. And old TVs have low resale value. And I don’t know about you guys, but I already have 3 TVs and two computer monitors. Sure, I won’t be able to have all of the dedicated for a Gamecube setup all the time, but if I wanted to put it together for a party, I could. Sears also was just selling their standard cubes for $19. 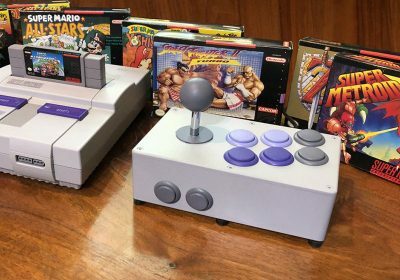 If you do plan on this setup in the future I suggest trying to find gameboy players now. They are the hardest part to find and can be the most expensive (other than the TVs). 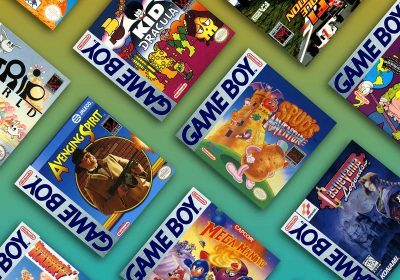 Cubes come and go, Tvs are only dropping in prices, and the cube/GBA cable is not uncommon online – it is getting hard to find instores. 5 gamecuve + 5 tv’s! Another awesome article. I can’t wait to tell my nintendo fanboy friend. 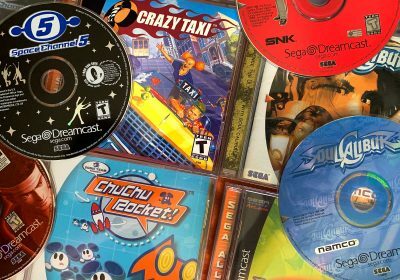 There’s also something about a Mario kart DD gamecube LAN party possible? please investigate and let us know with another brilliant article, please! Just any of these unknown things our systems can do. Mariokart supports alot of gamecubes. Ironically every cube I used had a Broadband Adapter and I had two copies of Double Dash there. I find the game works best with two tvs of similar size and two cubes. Four players per screen makes it just that much more intense. But an article about console linking, now we are cooking with gas. I mentioned this in the Momocon article and I will say it again this is an awesome idea, something that I have always been interested in. Thanks for sharing this with us. I would love to set this up myself some day, I’ve played pleny of 4 Swords and Final Fantasy with friends using the conventional method. Unfortunately I always find myself frustrated with 4 Swords Adventures the level design and puzzles aren’t as well thought out compared to the GBA iteration. I find that when I play in a group we always get frustrated about this. Could you get this going with 5 PC’s and emulators as well? No. Not just because Gamecube emulation is still in its infancy, well actually yeah thats the main reason. Too bad the other Nitendo consoles (note even Wii, yet?) cannot do this kind of stuff, that’s what GCN has over those systems. I once played 4 swords with 3 of my friends and beat it in 3 days. Sweet game. I was there at Momocon the day this was set up, and yes, it was daunting to jump in right in the middle of a game, but it was incredibly fun. Great article. It never even occurred to me that the Gameboy Player had the connection port to connect to a “host” Gamecube. One thing that could greatly expand this article are more excuses to own that many televisions. Pacman VS doesn’t even work well with a second televisions unless it’s faced away from the ghost players, which leaves just Chrystal Chronicles and Zelda as the two games to fully use the setup. On the other hand, PLENTY of consoles have used LAN. Pretty much any console post Playstation supports LAN, most of which only require a typical set up of ethernet cables and a switch or hub. Playstation even had some games like Wipeout and Wipeout XL (2097) where the multiplayer ONLY worked with linked systems. I’m sure others could fill in the best excuses for a home console LAN frenzy than I. And there’s also the ol’ CRT versus non-CRT issues. Namely, CRT produces hard to beat blacks (something used in gaming far more than elsewhere) and refresh rates, as well as being the ONLY television that can function with Cathode Ray light guns (pretty much every console light gun pre Wii and GunCon 3). 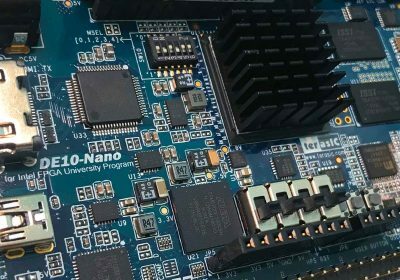 Plasma and LCD, on the other hand, have just about every OTHER advantage possible, including higher resolutions, better picture, larger screens, lighter weight, and smaller physical size. That alone is justification for ANY gamer that wants their cake (light gun games) and wants to eat it too (big, pretty television) to own two televisions. And thirdly, some HD televisions cause input lag because of resolution conversion, which is hell for any games that demand precision timing – most notably rhythm games. I have four GBAs, a game cube, and FSA, and it works great. I’d rather use a clear GBA SP than an old CRT. this is ridiculously pointless and expensive why cant you just use a regular gba with a worm light? if you put the tv’s next to each other youll be squinting to see whats going on from your couch and if you put each persons tv close to them you might as well just use a gba screen. While you may consider it pointless Adam, Four Swords and FFCC are two of my favorite games of last generation. With this setup I have beaten both several times with different groups of friends and have gotten my money’s worth out of it numerous times. Also if you use a wormlight, you must use one of the passthrough versions, and those are notorious for not letting enough juice through the port for the gba/gc cable. I used one long ago when I first played FFCC and about half of the time the Gamecube would not recognize the GBA until I took the light out. As for squinting from the couch, well youll just have to trust me that it is not that bad. This would actually work better for long play periods, because the GBA’s will eventually run out of juice, while all you need is an outlet for the Gamecubes. Too bad it didn’t work for me the first try…but it did after everyone left. We are doing this set-up now. We substituted a Wii for the central Gamecube. Also in case anyone is wondering, you only need one Gameboy player boot disk. You can boot one Gamecube up in Gambeboy mode, then open the Gamecube, remove the disk and move it, to the next. Our setup is using 4 wavebird controllers which are great since they are wireless. It’s Great fun, however the game will take you more than one weekend to finish. So you have to be willing to have it set up for a couple gamenights ( in our case a couple weekends with a break in between…so 3 weeks) The game has taken…8 hours so far and we are about halfway. I recommend this for a great party game. PS. You only need ONE copy of “Zelda Four Swords Adventures” for this setup. The cartridge is a different game and requires gameboy to gameboy link cables. If you are playing the cartridge game “Zelda Four Swords” then you need 4 cartridges. I don’t know why, but there seems to be a lot of confusion about this.